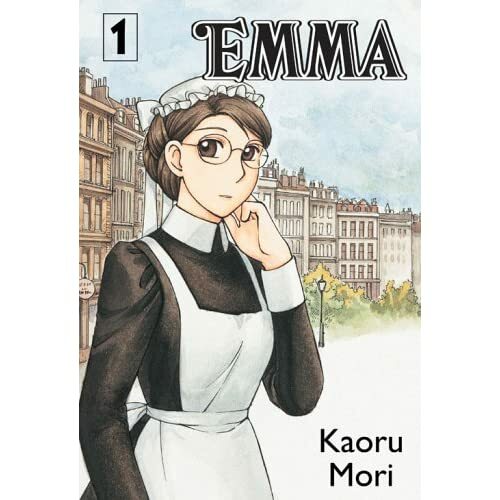 Set in Victorian England this books traces the life of a young kind-hearted ,intelligent maid Emma . William, a young aristocratic lad falls in love with the beautiful Emma and she too starts developing feelings towards him. But they are on either ends of the social ladder which makes it a twisty situation. This is book was my first attempt at graphic novels thanks to Alyce from At Home With Books for the recommendation. I must say that not only are the illustrations beautiful but also the life in Victorian Era has been depicted very beautifully. It is a very easy read and also very enjoyable.This is an ongoing series so I am yet to discover what happens to the love birds eventually. People who love historical romances or Georgette Heyer type of regency romances will love this series. If you are new to graphic novel genre then this would be a great start.